“Thank you so much for this amazing opportunity that you’ve given us. We’ve all learnt so much about the differences in culture here alongside new kills which we’ll take with us for years to come. It has also inspired some of us to travel and others to volunteer. 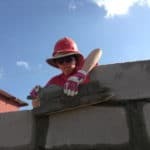 “A brilliant trip, lots and lots of fun for everyone, as well as being in a completely different environment and having the challenge of mostly taking care of ourselves on a day-to-day basis, with the right amount of help and guidance. “Sense Africa is a company that provides unmissable opportunities. “I just wanted to say thank you for making this such an enjoyable trip. I’ve had such an amazing time, and this is down to your hard work over the past couple of years, so thank you so much. I’ve got to know everyone so much better, and all of the projects were so rewarding and great fun. I now have many happy memories of our time in Swaziland. “I cannot quite find the words to show my gratitude for everything you did to make Swaziland trip so unforgettable. Thank you for sharing such a beautiful country with us and now I understand why you love it so much! The people, the animals and the beautiful landscapes Swaziland will magical. I know that we were probably quite a handful but I hope you realise what an incredible experience it was! It certainly sparked a desire to continue travelling to such lovely countries for me. “Thank you so much the such a wonderful trip to Swaziland! I enjoyed every second of it all the way from Sondzelas to Legends, with some amazing times and places in between! Mayenjane is now one of my favourite places to. It was lovely coming home to rhino by the waterhole. The Mabuda farm been another lovely place and I have so many great memories from my time there! especially at Mayenjane where I really enjoyed my time there would definitely love to go back sometime to see the project and the children. Overall thank you so much for such a great opportunity and an absolutely wonderful time there. It was a truly valuable and amazing experience! “Thank you so much for such a memorable and thought-provoking experience. “I just wanted to say another HUGE thank you for the incredible past four weeks of my life. Oh and the elephant, who I haven’t yet been able to bring myself to set alight. It was truly amazingly brilliantly fantastically awesome. “I also wanted to say huge thank you for leading such an amazing trip!